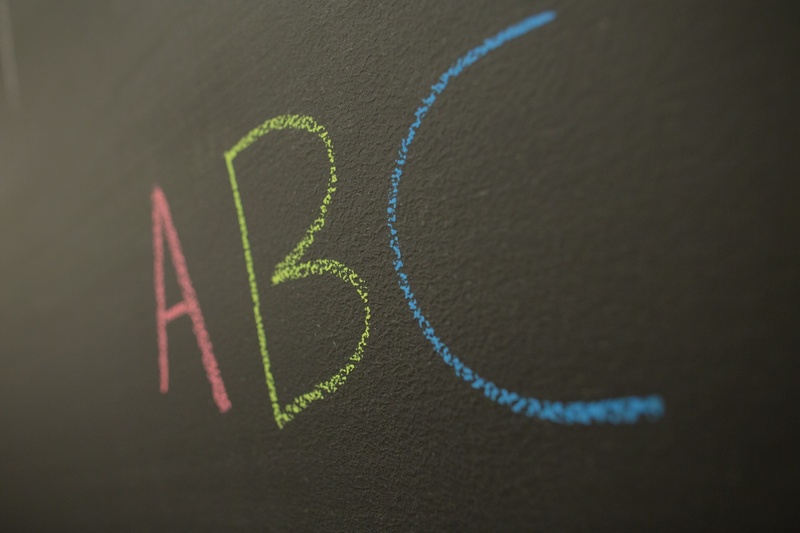 In the spirit of the back-to-school season, let’s talk about the alphabet. Every advisor knows the three F’s: funds, fiduciary, and fees. In client meetings, financial industry websites, and online discussion forums, the three F’s tend to be the primary focus of our industry. The three F’s are important, interrelated topics. Advisors do need to talk about funds. Understanding clients’ risk tolerance, retirement goals, and desired portfolio performance is crucial to charting a course for retirement that is in their best interest. The second F, fiduciary, has been getting a lot of attention these days. Even prior to the DoL Fiduciary Rule, which essentially applied a universal “best interest” responsibility industry-wide, good advisors were already trying to do their best for their clients. And don’t forget fees. How are advisors paid? Who pays them? What is a reasonable fee structure? I think most people hope for a win-win scenario in which clients pay reasonable fees and advisors are compensated fairly. The three F’s tend to be the focus of conversations between advisors and their clients. But there’s the rub: if everyone is talking about the three F’s, how can advisors differentiate themselves from everyone else? If advisor conversations, especially with clients, revolve around only the three F’s, what added value does an advisor bring to clients? What can one advisor do that other advisors don’t offer? The answer lies in moving up the alphabet from the three F’s to the two E’s: engagement and education. Advisor-client conversations that extend to engagement and education nurture a relationship built on trust. When advisors embrace the two E’s, clients know instinctively that the advisor has their best interest at heart. As a result, clients are motivated to follow the advisor’s recommendations and remain loyal to their advisor for years. Engagement means speaking about the issues that matter most to clients and doing it in a way that connects with them. Advisors can talk all they want about asset allocation and contributions to a retirement plan, but clients really want to know how much their take-home pay will be. If they increase their contribution, can they still comfortably support their family? Will they have enough income in retirement? Engagement doesn’t happen when all the client hears is what the advisor thinks is important. Engagement happens only when the advisor speaks to the clients’ most meaningful questions. Clients will be ready to move on to topics like asset allocation only once they feel their advisor has engaged with them at their level. What about the second E? Advisors motivate clients to take action only when they focus on education—not sales. Advisors must spend time illustrating the projected outcomes of various scenarios, hearing the client’s input, testing variables, and talking about why some scenarios are better than others. Clients will be grateful for their better understanding of the retirement planning process and how the pieces fit together in their particular plan. How do the two E’s build trust between clients and advisors? Engaging clients means not only listening to clients but also hearing them. It means understanding clients’ questions and concerns, and addressing them first. This builds trust because clients know that the advisor understands where they are coming from and wants to answer their most important questions. When clients hear their questions being answered, they become willing to discuss other topics, like funds and fees. Advisors who take the time to show clients why a particular scenario or product is in their best interest are engaging and educating clients rather than merely advising them. This builds trust. Educated clients are more likely to act on the advice offered by their advisor. Rather than creating a plan and presenting it as a fait accompli for the client, advisors should educate their clients about why the plan works. Armed with a better understanding, clients will be more inclined to follow through with the plan. So don’t get stuck on the three F’s. Move up the alphabet to the two E’s! As you build trust with your clients, you will build your business as well. At Retire Ready Solutions, we have designed The Retirement Analysis Kit (TRAK) based on the philosophy that good retirement planning software should focus on engagement and education. Each tool is designed to create opportunities to educate and engage clients. The effectiveness of this philosophy is summed up by advisors who tell us that TRAK is the best sales software in the industry. Don’t just talk about the things every other advisor talks about. Take your client relationships to the next level with TRAK!